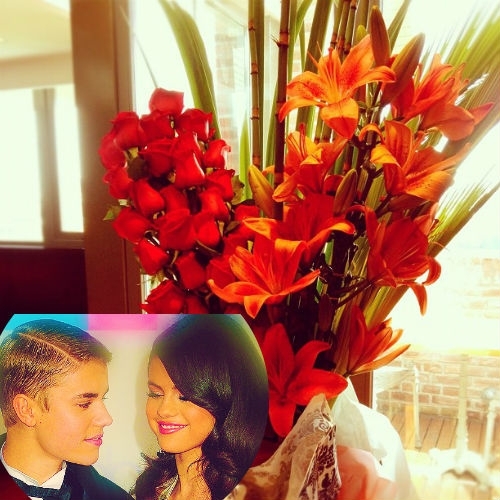 Justin Bieber Sending Selena Gomez Beautiful Flowers???? Selena Gomez tweeted “So Lucky” along with a photo of a beautiful flowers bouquet and fans are wondering if the flowers could be from Justin. Within minutes of Selena posting the photo of her gift on Twitter, fans started tweeting their speculations about the sender of the bouquet. “I am suppeeerrrr jealous!! I love @justinbieber! Ur one lucky girl ,” one fan tweeted. “Omg. Justin? Gosh. I love you guys,” another fan wrote.